Our App will give the user a detailed overview about our company. We are a manufacturer of premium Fruit Brandies made in Hungary. 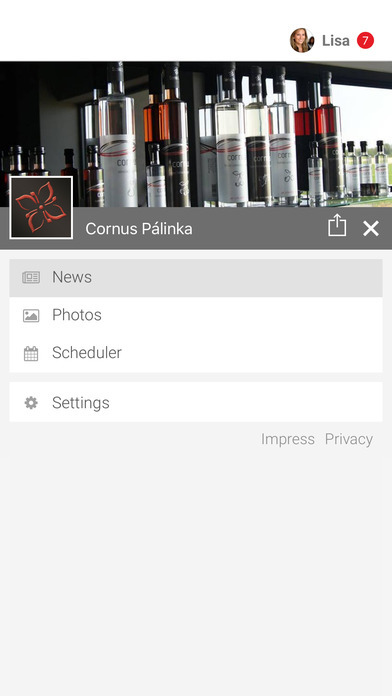 The App will also give the user the opportunity to learn more about our products and the manufacturing process of fruit brandies in general. It will provide the users an insight view into our daily activities, special product offers, new releases and upcoming events such as festivals and internal events. Our goal is to have a mobile app for the users to be able to access their favorite fruit from anywhere at any time without being dependent on a website our Facebook account. 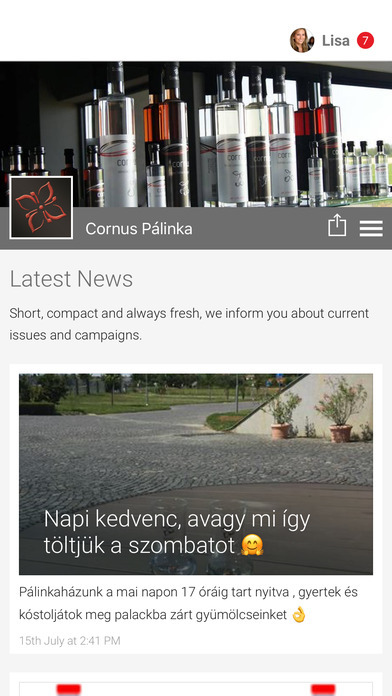 This App is a news feed of our activities and company in a portable user friendly way. All this will be highlighted by a news feed, company section, multiple pictures and links to current videos including linking and sharing function on multiple social media platforms.